What is the Rome Statute ICC? Rome Statute is an international treaty which established the International Criminal Court (ICC) to try four major international crimes. It came into force on 1 July 2002. As of March 2019, 124 of the 193 UN members have ratified the agreement. These include countries with constitutional monarchy system such as Belgium, Cambodia, Denmark, Japan, Jordan, Lesotho, Liechtenstein, Luxembourg, Netherlands, Norway, Samoa, Spain, Sweden and the United Kingdom. Countries having kings with absolute power like Saudi Arabia reject it. Great powers like the United States, Russia, China and India reject it. Israel rejects it. All our neighbors Singapore, Indonesia, Brunei and Thailand have not accepted it. Philippines has just withdrawn its membership as a state party. Malaysia has signed its acceptance on 4 March 2019. Note, for example, murder as such is not genocide. It must be ” committed with intent to destroy, in whole or in part, a national, ethnical, racial or religious group”. The ICC will only try the four major international crimes if the state party is unable or unwilling to do it themselves. The jurisdiction of the court is complementary to the jurisdiction of the domestic court. The ICC’s jurisdiction is to try individuals (not a country or an organization) for the four types of crimes. Only persons under the age of 18 when the offences are committed are immune and cannot be tried by the ICC. It means that even a head of state may be tried by the ICC. By ratifying the Rome Statue, are we giving away our sovereignty to an external authority? The main argument against ratification is that by doing so, we are giving up our sovereignty to an external authority. It is true that by accepting it, we give to state parties the right to refer the commission of the said crimes in Malaysia or by Malaysian nationals to ICC (but we may also do the same with respect to other state parties) and we give jurisdiction to the ICC to try Malaysian nationals. The fact is that when a country becomes a state party to an international treaty, it will be bound by the terms and provisions of the treaty, which will somehow affect its sovereignty. That is inevitable. Moreover, it will involve all parties, not only Malaysia. By accepting the Rome Statute, are the Rulers being subjected to the jurisdiction of the ICC? 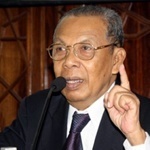 He said, “… the government acknowledges the concerns of some parties that the Yang di-Pertuan Agong will be exposed to criminal prosecution at the International Criminal Court (ICC). “He said that such an impression was wrong and made without a basic understanding of the law or constitution because we have a constitutional monarchy system in Malaysia, in accordance with Article 40 (1) of the Federal Constitution, the duties of the Yang di-Pertuan Agong are done on the advice of the Prime Minister or Cabinet. “The actions of the Yang di-Pertuan Agong are based on the advice of the Prime Minister or the Cabinet, therefore Malaysia’s participation in the Rome Statute does not affect the position and immunity of the Yang di-Pertuan Agong. “On Article 41 that the Yang di-Pertuan Agong is the Supreme Commander of the Federal Armed Forces, it does not give absolute power to the king to declare war. This Article should be read together with Article 40, the Yang di-Pertuan Agong to carry out his duties on the advice of the Prime Minister or The Cabinet,” he said in a statement last night. Based on the details of the Federal Constitution, Saifuddin said the Yang di-Pertuan Agong is not responsible for the four accused crimes as identified in Article 5 Rome Statutes, namely genocide, crimes against humanity, war crimes and crimes of aggression. The legal responsibility for any declaration of war, he said, lies in the jurisdiction of the Prime Minister and Cabinet. With respect, I disagree with the view that by ratifying the Rome Statute “the position and immunity of the Yang di-Pertuan Agong remains protected.” This is because the Rome Statute only recognizes the immunity of persons under the age of 18 years. But, it is another thing to say that YDPA cannot be held accountable for what the government (Executive) does because he is a constitutional monarch. This concept is explained by the Foreign Minister correctly and I agree with him there, and I do not have to repeat it. The mistake occurs because of confusion between immunity and responsibility. If the YDPA has immunity, even if he commits an offence, he cannot be prosecuted. However, if he cannot be held responsible for the commission of the offence, he cannot be prosecuted because, in law, he does not commit the offence. If he himself does so, he may be prosecuted. That is the difference. It might be said that if the Rulers themselves commit the offences, they should be allowed to be tried by the ICC. But that is not the issue here. The issue is whether by accepting the Rome Statute “the position and immunity of the Yang di-Pertuan Agong is preserved” or not, not whether, if the Rulers commit the offences, they should be allowed to be tried by the ICC, or not. I agree that declaration of war is within the jurisdiction of the Cabinet. However, those offences could be committed even without a declaration of war. War crimes is only one of the four types of crimes. I can accept the argument that the YDPA (and also the Rulers, in respect of their own states) cannot be prosecuted at the ICC for the offences committed by the Executive (and also the military) on the ground that he is a constitutional monarch. In simple language, he cannot be prosecuted at the ICC because he does not commit the offence, not because of his immunity. On the other hand, if he (or the Rulers) himself commits the offence or he directs his guards or police or military officers to do so, he may be prosecuted at the ICC. What it means is that the ICC does not recognize his (and he Rulers’) immunity. Therefore, the last sentence I quoted which says “The Yang di-Pertuan Agong will not be affected personally after Malaysia becomes a party to the ICC” is only correct regarding the offences committed by members of the administrative, executive or armed forces, not by or on the direction of the Rulers themselves. Is it necessary to amend the Constitution? (ii). Because it affects the position of the Rulers. Regarding (i), it cannot be argued otherwise that, under the Federal Constitution, judicial power lies in the courts. Only the courts established by the Constitution and created by federal law have jurisdiction to try offences committed in Malaysia. Foreign courts have no jurisdiction over them. By merely ratifying the Rome Statute, it does not give criminal jurisdiction over the offences committed in Malaysia, to the ICC. That is because, even though the ratification is approved by Parliament, the provision of the Constitution remains. As long as the Constitution is not amended to give the ICC jurisdiction over the offences committed in Malaysia, the ICC has no jurisdiction to try them, as the ICC is not a court established by the Constitution or under federal law as provided by the Constitution. “No proceedings whatsoever shall be brought in any court against the Ruler of a State in his personal capacity except in the Special Court established under Part XV. This provision says that only the Special Court has jurisdiction over the Rulers. Hence, to give jurisdiction to the ICC to try the Rulers, Article 181 must be amended. Must the consent of the Conference of Rulers be obtained? “Commenting on the need to refer to the Conference of Rulers, Saifuddin said that that would be necessary if the government wants to amend the Federal Constitution involving nine matters stated in Article 159 (5) and Article 38 (4). He said Malaysia’s participation in the Rome Statute is not one of the nine matters, but the Cabinet decided to brief the Yang di-Pertuan Agong about the decision to accept the statute out of respect for the principle of Constitutional Monarchy. When I counted, I found eleven matters mentioned in Article 159(5). Never mind. The important thing is to look at the contents. Articles 80 (1), 39 and 74 (1) and (2) cited by the Foreign Minister, with respect, do not assist the minister’s argument. The provisions are about division of jurisdiction between the Federation and the States. That is not the issue here. Pursuant to Article 13 (a), the ICC may exercise its authority if a state party refers the commission of the offences to the Prosecutor. But, Article 12 (a) imposes the condition that the country where the offences are committed or the offenders are its nationals, must be a state party as well. In other words, the ICC will not exercise its jurisdiction if the country where the offences are committed or the offenders are its nationals are not a state party. Thus, a rogue country may avoid the ICC jurisdiction by not becoming a state party to the Rome Statute. The Prosecutor who wishes to investigate in accordance with Article 13 (3) is also subject to the conditions stated in Article 12 (a). It is true that the ICC may acquire jurisdiction over a country which does not ratify the Rome Statute if the UN Security Council refers the commission of the offences committed in the country or by its nationals, to the Prosecutor. However, in the case of Israel, with the United States having the veto power and its unwavering support for Israel, the resolution to refer Israel to the ICC is unlikely to be approved. On the contrary, the country that the UN Security Council had referred to the ICC is Sudan whose population in the North and its government are, by majority, Muslims and the offences are allegedly committed against the rebels in the South who are mainly Christians fighting for separation of the southern part of Sudan. A few days ago, we read that the United States, a strong opponent of ICC, threatened to withdraw visas or not going to give visas to ICC investigators who want to investigate complaints of the commission of the offences by US citizens, in Afghanistan. At the same time, when the ICC investigators are investigating the commission of the offences by Rodrigo Duterte, the Philippine President, on drug traffickers in his own country, he withdraws Philippine membership as a state party to the Rome Statute. Should Malaysia ratify the Rome Statute? Whether Malaysia should ratify the Rome Statute or not is the policy matter for the Cabinet to decide. It is a political decision. To make that decision, the government will certainly take into account its policy in regard to international relations, its election promises, the pressure by the component parties and of great powers. (In this case, the last-mentioned factor does not seem to be an issue as the United States itself had not ratified the Rome Statute.) As a responsible government, it must consider national interests. I accept that the government has more information than us to take into account and to consider in making the decision. However, politicians being politicians, it is whether they think they will get more or less votes by doing so in the next general election, is the most important consideration. “(1). Malaysia’s participation will increase the country’s status among the world community as a nation committed to upholding justice and defending international law. (2). Malaysia’s participation will symbolize the seriousness of the country in increasing unity together with the international community by bringing international criminal offenders to justice. (3). Malaysia can now refer to the ICC under Article 13 (A) of the Rome Statute of international crimes committed by any party, if required. (4). Malaysia can now speak more loudly against countries that carry out ethnic cleansing and war crimes at the Conference of the State Parties. Regarding (1) and (2), while I do not say that it does not give any benefit, merely by being a party to the Rome Statute, would not place a small country like Malaysia in a high position in the international community. International politics only respects the strength and wealth of a country. Regarding (3), it is true that we can refer a state party to the ICC, but other state parties may also do the same against us. In addition, our neighboring countries such as Singapore, Thailand, Indonesia and Brunei Darussalam all do not ratify it. Philippines has withdrawn its membership as a state party. Why is Malaysia so eager to ratify it? Regarding (4), no matter how loud a small country shouts, in international arena, no one cares about it. Regarding (5), I do not want to comment. I do not intend to say whether we should ratify the Rome Statute or not. I leave it to the readers to consider and decide for themselves. What I have done is to explain and give my opinion on the various issues involved, as best I can, to help them understand and make their own decisions. It is hoped that legal advisors to the government will also read it and if they agree with my arguments, they might want to revise their advice to the government. It does not matter if they don’t, so long as they have better arguments. I too would like to see their arguments.